Warrior Rivers DAR Good Citizen winners were recently announced. The Warrior Rivers Chapter presented awards at the Jan. 24 meeting and recognition reception at Lester Memorial UMC fellowship hall. The annual event is intended to encourage and reward the qualities of good citizenship and is open to all senior class students. The Good Citizen Award is given to a selected senior in each of the eight high schools in Blount County. Winners are selected by their schools because they exhibit the qualities of dependability (truthfulness, loyalty, and punctuality), service (cooperation, courtesy, and consideration of others), leadership (personality, self-control, and ability to assume responsibility), and patriotism (unselfish interest in family, school, community, and nation) to an outstanding degree. The scholarship contest is composed of two parts. Part one is the student’s personal component (how they manifest the qualities of a good citizen, their official grade transcript, and two letters of recommendation). Part two is an essay contest. A topic is given to the student and he or she has two hours to write an essay using no reference materials. Out-of-county judges are tasked with selecting the overall Blount County winners. This year’s honor goes to Eli Brothers, a senior at Susan Moore High School. 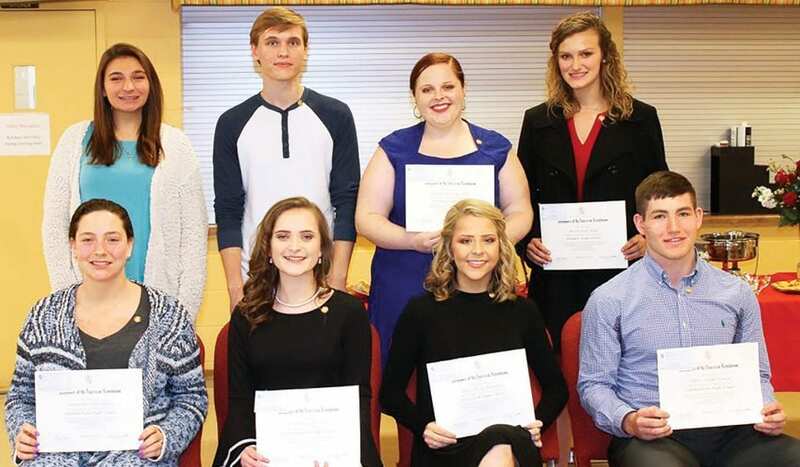 The 2019 winners are: Appalachian – Samantha Davis (daughter of Howard Davis and Sharon Davis); Cleveland – Emily Reed (daughter of John and Tricia Reed); Hayden – Harlee Kate Reid (daughter of Anthony and Jessica Reid); Locust Fork – Alexis Minyard (daughter of Kenny and Amy Minyard); Oneonta – Mallory Allen (daughter of Ashley and Mary Ann Allen); J.B. Pennington – Breanna Smith (daughter of Barry Smith and Dawn Smith); Southeastern – Albert Tinney (son of Al and Sherrie Tinney); Susan Moore – Eli Brothers (son of James and Marie Brothers). For more information about DAR, visit the website at dar.org.